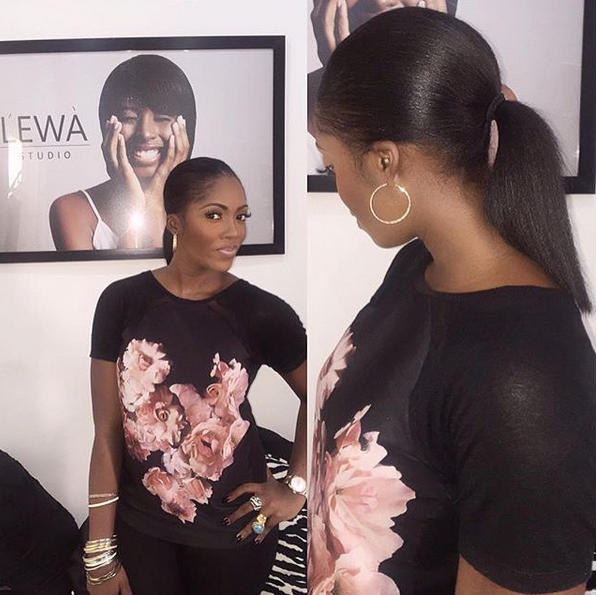 The proud hubby gushed over his wife, superstar, Tiwa Savage,noting she still looks hot after one child..
"Damn! Who's dat girl? That's all Mine bih ... When bae drops one and still look this s--y that's a Major..."
She's stunning.By the way that's her natural hair.